In 1901 the first lighthouse and a house for the lighthouse keeper were built. The lighthouse was a wood frame structure on wood pilings off shore. At low tide one could walk to the lighthouse, but at high tide it was necessary to take a row boat. The first white residents of Browns Point were the lighthouse keeper, Oscar Brown, and his petite wife Annie. They arrived by government boat in October, 1903. Their household furnishings were unloaded at high tide. Oscar's cherished piano sat covered outdoors for several days until men came from Tacoma to help move it into the house. The Brown's horse and cow were unloaded with a sling and then they swam ashore. 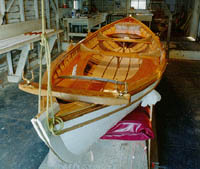 The rowboat used by Oscar and his crew of two or three men no longer exists, but a replica of the rowboat was reconstructed by boat builder Mark Vlahovich in 1994. It is housed in the original boathouse located next door to the lighthouse keeper's house and can be viewed when you visit the park. For the next 30 years Oscar Brown tended the light, and the battery operated the bell. Every evening at the exact time of sundown, Brown would light the lamp in the attic. Each morning at sunrise he put it out. When the bell rang all night long due to fog, he had to rewind the mechanism every three quarters of an hour. When the bell would not function properly during a fog, he and Annie manned the lighthouse; he with a sledge hammer and she with a timer. She monitored the timed intervals as he struck the bell. Over the many years after 1903, children who lived on Browns Point were particularly impressed with the military ceremonies that were part of the lighthouse tenders (Manzanita & Columbine) visits to deliver supplies. This occured at least once a year and always proved to be fascinating with Oscar Brown seen in his full military form and regalia. As the tenders anchored, he stood at attention as the officers and sailors boarded long boats and approached the lighthouse. As they landed on shore, all oars were shipped (went straight up). After supplies were unloaded, the men returned to the tender with the same formal military procedure as in the approach. Oscar was also a musician. He was the music teacher for many of the area's children. Many of his former students remember him as looking like the great fisherman of the sea with a profile like the Indian on the "buffalo head" nickel. He had large, gnarled hands which amazingly did not deter him from being an accomplished pianist. He also loved attending concerts in Tacoma. Before there were any roads on Browns Point, Oscar and Annie were known to take an evening's last launch across the bay to Tacoma. They would attend a concert and return on foot via the tideflats and climb the big hill to Northeast Tacoma for their late return home. Another prominent white man on the scene was Captain Mathew McDowell, a Scotsman who was born in the mid 1800's in Northern Ireland. He began sailing at the age of 15 with the Black Ball Sailing Fleet between Liverpool and New York. 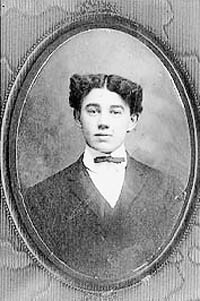 He migrated to Oregon and began steamboating on the Columbia River in 1888. He became an engineer on the tugboat "Laurel" out of Gig Harbor in 1894 and finally in 1898 began the McDowell Transportation Company which eventually owned seven steamers. Most of them were between 85 - 95 feet long and were intended for short distance hops. They were all built at the Crawford & Reid Shipyard in Old Tacoma. McDowell carried passengers and hauled freight. The fleet was originally based in Tacoma near the smelter. He often slept on one of his boats, especially if he was to be its captain the following morning. One horribly stormy night a large ship ran ashore, narrowly missing the boat on which he was sleeping. It was at that time he decided to move his fleet and his family. In 1905 he purchased 80 acres on Browns Point from the original native owners and heirs. McDowell built a house and a beautiful dock in the cove not very far from the lighthouse. He called his new home Caledonia. His daily runs serviced areas such as Dumas Bay, Lakota, Adelaide, Redondo, Des Moines, Zenith, Maury, Portage, Chautaugua, Vashon, Tacoma and Seattle. As the permanent population and the summer vacationers increased, his buisiness thrived. His clientele increased even more when he built a dance hall next to his dock. His D-fleet brought fun loving dancers from across the bay. Albert, Robert, and John McDowell, his sons, were a vital part of the company assuming jobs of engineers and eventually captains. His daughter Mary worked as a purser. She later married Aurthur Thompson who became a prominent Puget Sound pilot. Anticipating a decline in passenger business due to the beginning of the ferry services, McDowell began selling his fleet in 1918 while steamers were still in demand. He retired completely from steamer service in August 1919. Between 1901 and 1907 Jerry Meeker and his business partners George Taylor, J.M. Campbell, Fremont Campbell, and Frank Ross acquired and platted most of the property west of today's Eastside Drive which they called Hyada Park. Jerry chose native names for the streets including La-Hal-Da, his native name. In 1906 he built his home on Browns Point which is presently the home of Ramona Hawthorne, his granddaughter. Next to it he built Browns Point Dock in 1907, for $5,500. By 1941 is was beyond safe usage and was torn down by the W.P.A. During this decade the southern beach of Browns Point was lined with summer cottages and some squatters who lived there permanently. Ernie Burrows remembers one squatter called "Dad" Adams. Around 1914 Ernie and a friend occasionally rowed across the bay to borrow Adam's crab nets. Within a half hour they could catch eight to ten large crabs. As a young boy, George Oathout rented launches from the Foss Launch Company and rowed over to Browns Point for crabbing and fishing. He especially enjoyed his visits with Oscar Brown and the tours of the lighthouse. As far back as 1912 Jerry Meeker's clambakes were enjoyed by his friends and neighbors. Jerry and another resident, Ed Newcome, began the first organized clambakes for Republican fund-raising. They were held on the beach, but later were held next to the schoolhouse on Tok-A-Lou. Newcome was a very visible member of the community. He lived across the road from the present Episcopal Church. Newcome owned dairy cattle and cultivated a large garden. Much of his living was made delivering milk to the people on Dash and Browns Points, and also from selling fresh vegetables in the summer. He owned a team of mules which enabled him to do a great deal of the point's dirt moving, excavating and farm or garden work. He was a staunch Republican and a good friend of the county commissioners and other officials. Although Newcome and Captain McDowell were close neighbors, a well known feud and rivalry existed between them. McDowell was strongly opposed to government intervention and refused to pay taxes, and he could not tolerate Newcome and his friendships with government officials. Their animosity toward each other was not reconciled until just before Newcome's death. 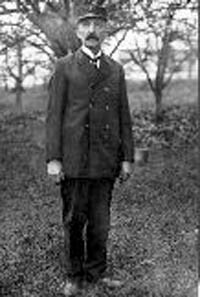 Another early resident, and one who still lives on Browns Point, is Ed Olsen who came with his wife and two children from Gold Hill, Oregon in 1914. His first job was with the Tacoma Lumber Company on the tideflats. He remembered his wages were 18 cents per hour until he got a promotion driving a team of horses for $2.35 per day. 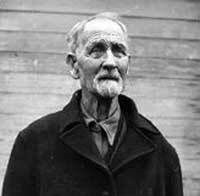 He was fortunate to be able to rent a company house from Tacoma Lumber for $6.00 per month which included utilities. For over 70 years he has lived on Browns Point and has owned three different homes there. When he first moved to the point, there was no local school available. His children attended school in Tacoma with their transportation provided by a Foss tugboat. By 1918 there were enough children on Browns Point to warrant a school. It was built on the east side of Tok-A-Lou and the first year had about 12 students. Martha Floberg was their first teacher. 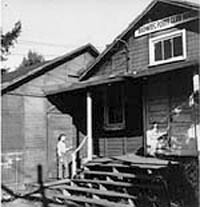 The Browns Point Improvement Club's beginnings go back to 1919 and are attributed to the need for a piano in the new school. The first years of its existence it functioned more as a P.T.A. than the kind of club it eventually became. The first meeting was in the waiting room on Browns Point Dock.